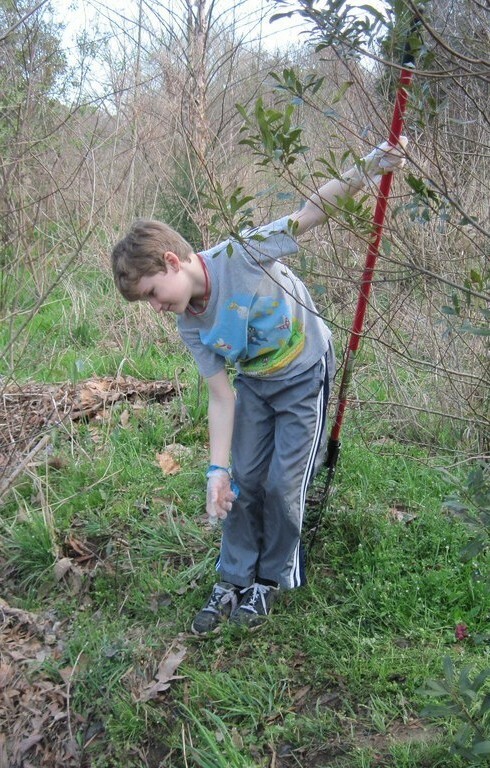 On December 14, Keep Durham Beautiful gave away 255 flowering pollinator-friendly trees to community members in East Durham. Our tree giveaway, which took place on the grounds of Eastway Elementary School, was funded by a grant from Duke Energy Foundation to encourage tree planting, tree care, and to share the many benefits of trees with Durham residents. 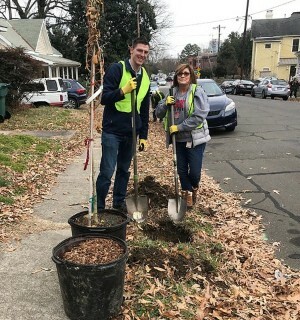 On December 15, we planted 20 Gingko trees on Burch Avenue in partnership with volunteers from the Law Offices of James Scott Farrin and other community members. Employees of the law firm's green team donated $1020 for the trees to commemorate the firm's twentieth anniversary. It's that time of year when we get to spend time with our loved ones, pick out the perfect gift for our favorite person, and watch all the holiday specials. As your schedule fills up and you're squeezing in last minute errands, trying to reduce your waste isn't really the first thing on your mind. We have some great, easy tips for sustainable gift giving to help you out. 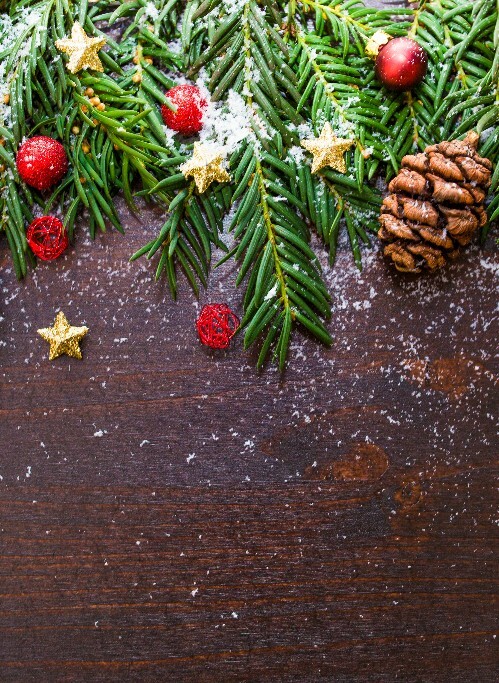 These tips will actually make your gifts stand out, be more creative, and feel more meaningful for everyone involved! 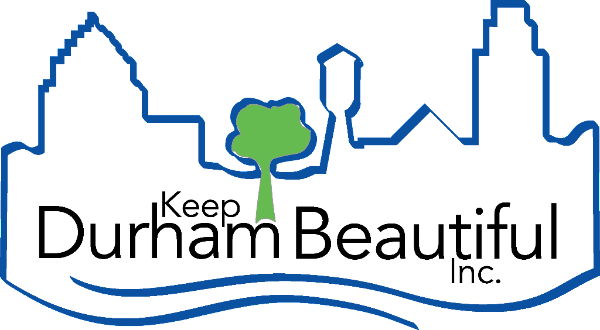 Thank you for being a part of Keep Durham Beautiful's mission this past year! Just last week we gave away 255 trees in the span of 3 hours, and planted 48 trees with the help of three groups bringing 26 volunteers. We are so grateful for every volunteer and donor that has put time and effort into furthering our mission. 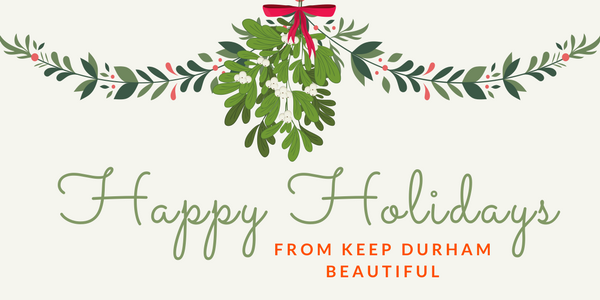 As 2017 ends, consider giving a gift to Keep Durham Beautiful. 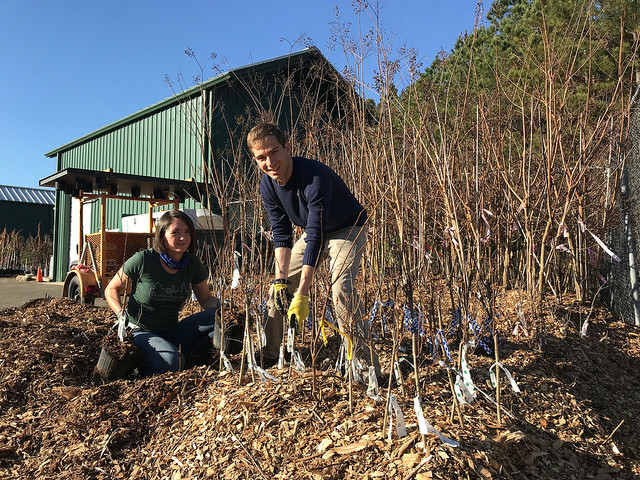 With your help, we can keep providing volunteer opportunities to Durham residents so they can have the tools, resources, and education to take care of their communities and environment. Copyright © 2017 Keep Durham Beautiful, All rights reserved.